As Deputy General Counsel, Kim acts as an advisor, estimates risk strategically and trains staff in all aspects of compliance with federal statutes and regulations. She also drafts and negotiates contracts and manages litigation. Kim has more than 13 years of litigation experience, most of which has been concentrated in the area of commercial construction. She has represented a multitude of facets of the construction industry, with her earlier practice focusing on subcontractor/materialmen trades and growing into General Contractor/Developer representation in her later years. Kim earned her Juris Doctor degree from Nova Southeastern University, and her Bachelor of Arts from Baylor University. 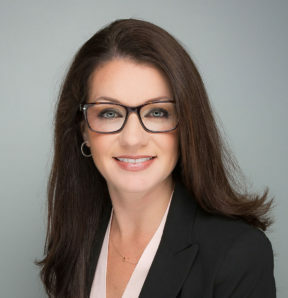 She is Board Certified in Construction Law by The Florida Bar since 2012 and is a member of the Construction Law Certification Committee of the Florida Bar and serves as Vice Chair. It is my mission to preserve the hard-working, family culture within Moss created by our leadership, and to be consistent with our core values: honoring all relationships, embracing an entrepreneurial spirit, and approaching each day with contagious energy.